Metal braces are stainless steel or titanium brackets that are attached to the teeth using a special type of super dental glue. These braces are the same size and shape as metal braces, except that they have tooth-colored or clear brackets that blend into the teeth. Invisalign is a type of orthodontic treatment that helps patients straighten their teeth discreetly without using the metal or ceramic braces. 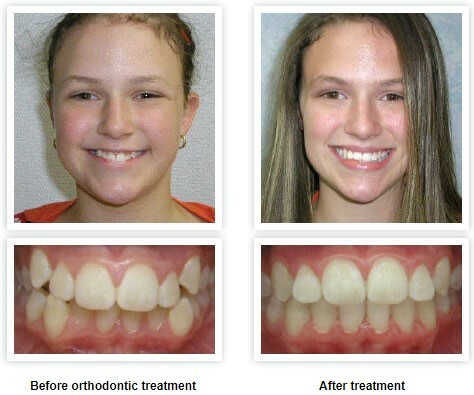 Phase I Treatment deals with the orthodontic treatment of moderate or severe orthodontic problems on your child’s teeth before their permanent teeth have completely emerged. This comprehensive treatment aims to correctly position all permanent teeth in order to maximize their function and appearance. Dental retainers are removable or fixed custom-made apparatuses that help children’s teeth to maintain their new position after braces are removed.